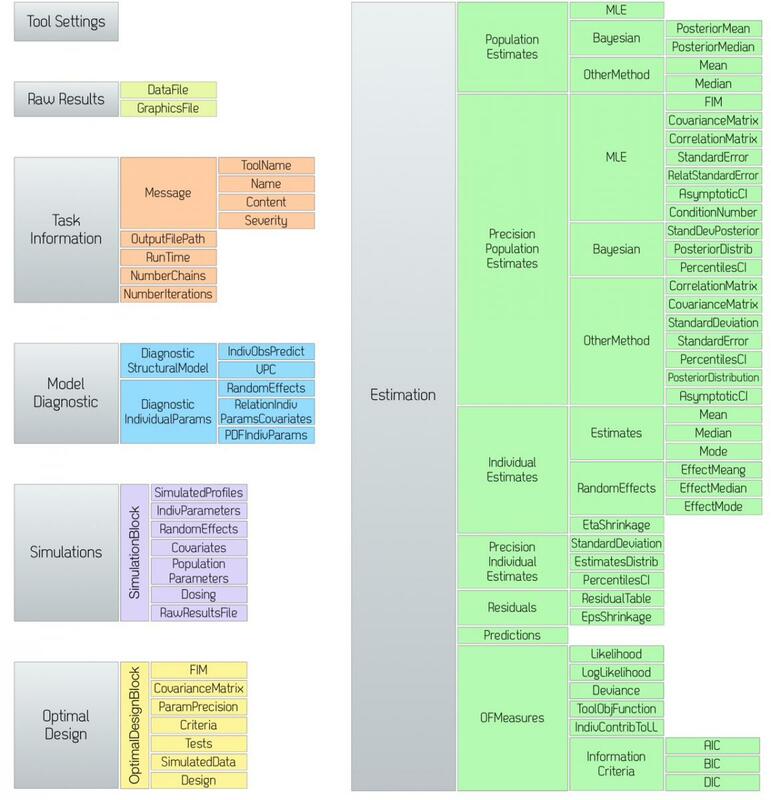 SO is a tool-independent exchange XML-based format, intended for storage of results in standardised form. It enables effective data exchange within complex workflows as well as supports users in assessing, reviewing and reporting modelling steps. facilitating information retrieval for post-processing and reporting, by allowing immediate access to M&S results. Together with PharmML, SO is a key element of the DDMoRe platform enabling a reliable exchange of pharmacometric models and data across software tools. 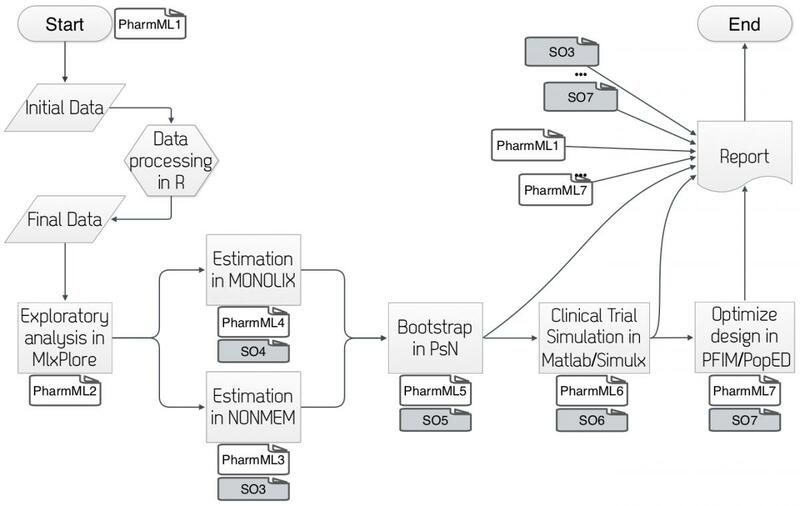 As shown in the figure below, Each step is accompanied by a PharmML file carrying on the entire input information and enabling the task execution as well as a SO file storing the relevant output coming from the respective pharmacometric analysis and making it available to any subsequent task.